When you own a wedding business, it’s always great to take a breath and step back to look at the big picture. Sometimes we get so caught up in the day-to-day that we forget to set goals, make plans and tweak adjustments as needed. 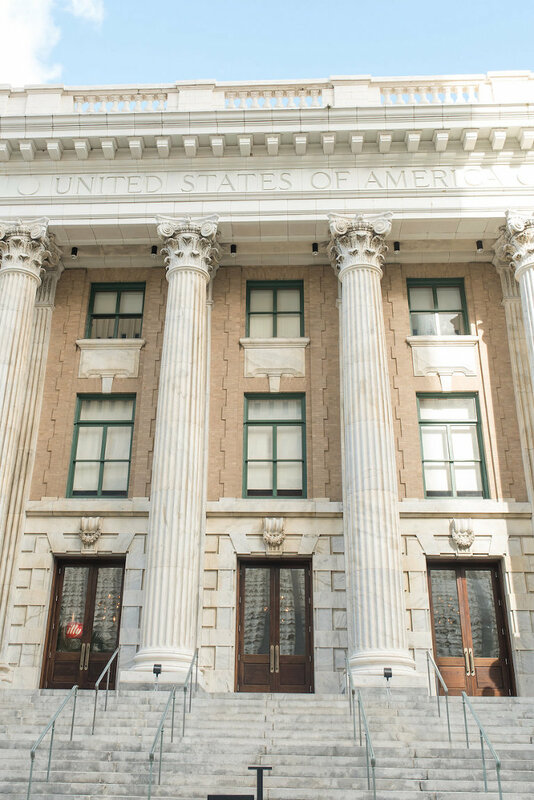 As Marry Me Tampa Bay heads into its fourth year of business, I’ve got big ideas in the works (including a game changer launching in 2016), so I felt that it was time to expand my industry knowledge. When I started researching wedding conferences, I discovered the Cultivate Retreat and was instantly intrigued. While staying at an exotic retreat listening to celebrity speakers is tempting, I wasn’t ready to shell out several thousands dollars to attend. However, the Cultivate Retreat provided an almost weeklong workshop, with meals, lodging and well-respected industry speakers for under $2k, a bargain compared other wedding workshops. And to top it off, it took place literally two blocks from home in Downtown Tampa at Le Meridian Hotel. With this being my first wedding workshop, I had no idea what to expect, and Cultivate didn’t disappoint. We hit the ground running with the retreat’s founder and Jacksonville wedding planner, Cassandra Cherneski, helping us identify our business personality. She gave us a test to determine if we were an entrepreneur, manager or technician. Although I own a small business, I’ve never felt comfortable calling myself an entrepreneur, but after taking a closer look at the traits that I posses, I can very confidently say I am one! I also learned that as I expand my business, I need to focus on hiring someone with a different skill set than myself, which can be difficult, because you naturally think to hire a person who reminds you of yourself. Some other takeaways from the educational workshops included being intentional and focused in one’s marketing, messaging and branding. The speakers constantly emphasized how important it is to define your niche, audience and purpose so that you’re not in a “conveyor belt” mode of doing what everyone else does. The classes made me think about the importance of making the extra time to refine the value and experience that I want to showcase to my readers. With the major growth our site has had this year, one of my biggest needs is staffing and Orlando wedding photographer Kristen Weaver shared her formula for her successful internship program, which has inspired me to start my own! 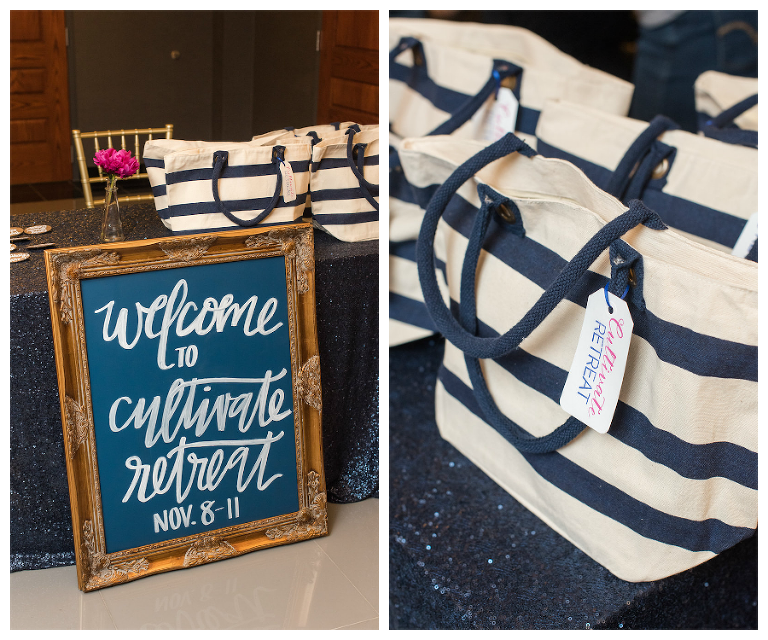 A captivating aspect of the Cultivate Retreat was that there was a great balance of business education and creative activities. Jessica Clinch, of Simply Jessica Marie, taught us watercolor calligraphy and Shea Hopely, of Shea Hopely Flowers, led a class in centerpiece design, both things I’ve never done before. We then used the florals we created to design three different looks for multiple styled shoots. We were given access to a variety of linens, dishes, furniture and more to create a whole lot of pretty. While I came for the insight and education, one of the most surprising things I left with was the relationships I made with the other wedding professionals. I loved the intimacy of the retreat, having constant access to speakers as they spent the entire week with us in classes, at lunch and even on the dance floor! I met other fellow wedding bloggers from around the U.S. and developed even deeper connections with local vendors that have evolved into some great friendships. To end the week, there was an amazing send-off party that was not only gorgeous, but one of the funnest events I’ve been to in a long time. I don’t think I’ve danced that much since college (or saw so much “raining” on the dance floor), thanks to DJ Jacob Towe. See more of our adventures in the video below! Sign up for updates (and special discounts) to the next Cultivate Retreat August 8-11, 2016 at the Old Edwards Inn and Spa in Highlands, NC. 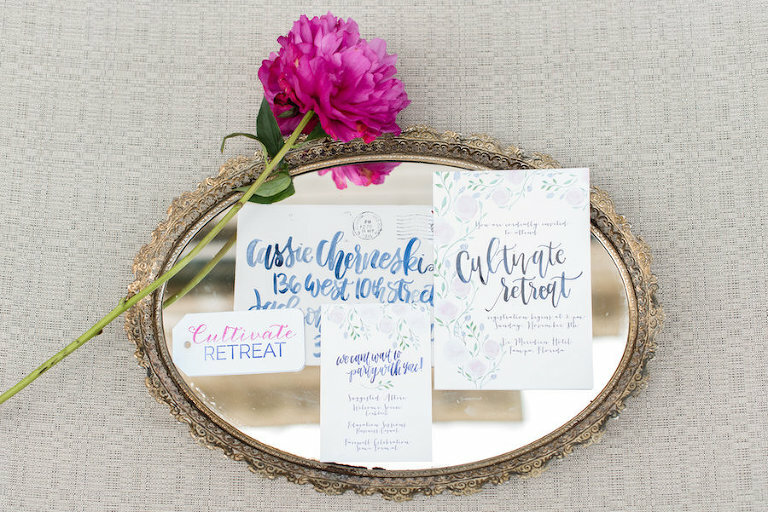 Brush Calligraphy Invites: Sidney Hunter Design Co. This post was sponsored by the Cultivate Retreat, though all thoughts and opinions are those of Marry Me Tampa Bay.